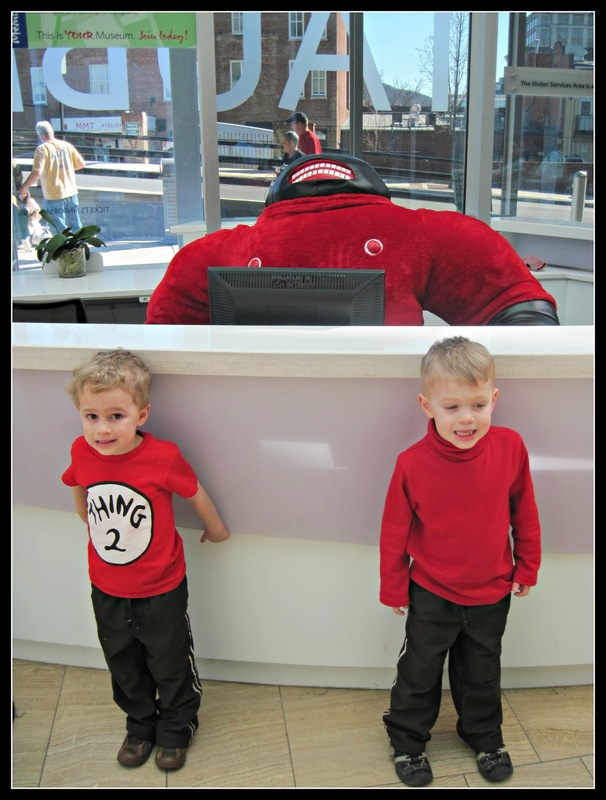 Cort has been very interested in dancing, so recently we took him and his brothers to a special performance by the SWVA ballet, which was free at the Taubman art museum. Afterwards, we wandered through the museum. They had some new exhibits since we last visited, my favorite of which were some very old and gorgeous Tudor Dynasty themed paintings, but no pictures were allowed in that exhibit. How do you like the giant mole working the computer desk? He's a new addition. 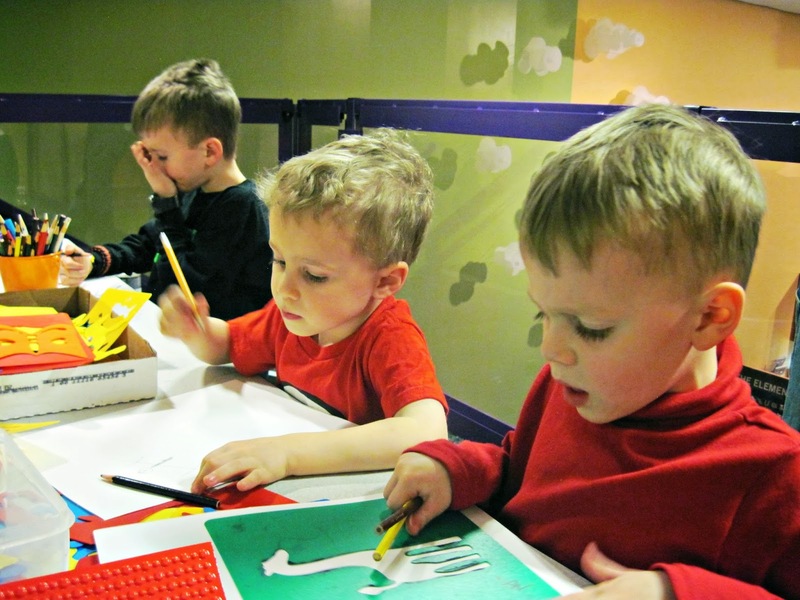 After a puppet show, the boys settled in to make some of their own art. It was all fun and games until I realized I was so hungry I could eat their colored pencils, and so we moved on for the day. Overall, it was a very fun afternoon, and the boys were all impressed by the ballet - especially the male dancer, who could lift the ladies up in the air and spin them around. The boys are still crafting their reenactments at home. Readers, have you had any good doses of culture lately? LOL I can only imagine their reenactment! Sounds like a fun and busy day. They will remember that trip for years. The teachers can tell which kids are exposed to learning at home as well as school, it really makes a difference. geweldig moet je die snoetjes zien. No culture recently. I went to my Granddaughter's dance recital last spring. Does that count? Since I moved from Dallas to middle-of-nowhere Illinois, culture is a bit more difficult to find. I'm thinking Les Misérables was the last real culture and that was at the Dallas Theater Center. How good of you to take them there! Those paintings are pretty psychedelic! A big high five for giving your chidden opportunities to appreciate the visual and performing arts. Yes, we get "good doses" of music and art and dance on a regular basis. Irish dancing classes, two art festivals, jazz festival, two art and history museums, the symphony, our local high school band, interesting restaurants that feature food from other countries. We LOVE it all. May I count my 6 year old neighbor's dance recital as a recent ballet opportunity? :-) Yes, I think I will. It's so nice that you take your boys to places that engage the mind and develop their talents. Sounds like a fun time! I have always wanted to see a ballet. There's just something about dancers that I love. They are so dedicated to their craft. Now that sounds like a great day and very inspiring too! Very nice that the ballet was free. How fun! Our little small town offers nothing in the lines of arts or musicals. It's sad really. Glad the boys enjoyed!! We went to the Warehouse Gallery in Luray on Saturday. Also went to a small private gallery and viewed some of the town's outdoor murals. Glad you didn't eat those pencils! Bear? Culture? Surely you jest! Glad the guys had a great time. Not much culture in my world right now -- too busy with things around the house. I love the ballet! I'm glad that you took them to see one. Be sure to hit the Nutcracker at Christmas--all the kids love that one. I'm so glad they enjoyed the ballet. I'm usually impressed by the male ballet dancers outfits. Culture? me? well I had some cottage cheese today…does that count? I love the mole! How did the boys enjoy the ballet! I really want to take my boys because they love dancing and they enjoy classical music (thank you little Einsteins) but I worry about them sitting still for a long time. Yes! 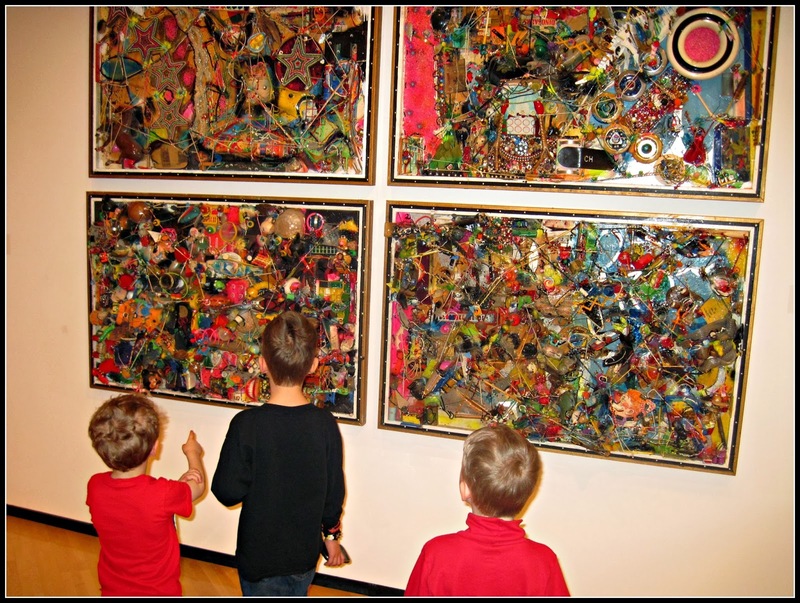 It's great that you give your boys the opportunity to get involved with The Art World. I regret that, because I've got the heart of an Artist inside myself. I also love your boys' haircuts. Thank you for posting your comments in my blogs posts! You are a super friend, Lisa.